It’s that time of year. Everyone is looking to make changes to their diet, and US News and World Report published its Best Diet Rankings for 2017. And once again, the Paleo Diet ranked very poorly and in last place was Whole30. In first place is the DASH diet, originally developed to prevent and lower high blood pressure. I figured I’d add to previous rebuttals here and here with a shiny new version of the same old argument. I’m a dietitian and I love real food. I’ve seen people give up processed foods and it can change their life. It’s amazing to me that there is still so much bias against giving up processed foods. The reality is, not many people can moderate when it comes to hyper-palatable foods. I’m sure it’s pretty threatening to classically trained nutrition experts who still believe in low-fat dogma that the Whole30 book and Cookbook tops The New York Times Best Seller List. The Paleo Solution and blogs like Nom Nom Paleo are runaway successes. This is such a sharp departure from the norm. But maybe real food is what people need. And, given the great success of Paleo and Whole30, maybe it’s what people want because it works. Maybe real food is what people want. They’re tired of the low-fat dogma and processed foods. Never before have humans had to push away such an abundance of hyper-stimulating, highly processed, nutritionally void food-like products. These modern foods bypass our normal satiety cues, causing us to eat many more calories than we need for our sedentary lives. We’re overfed, obese, exhausted and malnourished all at the same time. Maybe we need to eat less fillers and more real food. I’d like to take a moment to provide some counterpoints to show how eating a nutrient-dense, real food diet, can actually be better than diets that completely avoid meat, require drinking 2 shakes a day containing high-fructose corn syrup, allow you to skip eating real food to save your “points” for alcohol, and ones that allow only 500 – 800 calories a day. The reason these diets work is because they force people to invest in a complete dietary transformation. One of the criticisms in the US News Report is that “most diabetes experts recommend a diet that includes whole grains, legumes and dairy products.” But if you stop to think for a second, aren’t many of those foods just adding more carbs with little other nutritional value? Also, aren’t we failing diabetics with our advice? We don’t need to drink orange juice and eat whole grain cereal with low-fat milk every morning. Beans are pretty difficult to digest and not a better source of protein than meat. Grains are not a better source of nutrients and fiber than roots and tubers. And while I see some benefit in high quality, full fat dairy in the form of yogurt or cheese, I also think it’s a great exercise to eliminate it for 30-days to see how it makes you feel. As far as milk goes, well milk is great at putting weight ON mammals, that’s what it’s for. With 75% of the world’s population lactose intolerant, and most of the nutritional benefits in milk coming from fat-soluble vitamins, it’s time to reconsider recommending 3 cups of low-fat or skim milk each day. There are no risks in avoiding sugar, grains and dairy and in fact, giving up these foods can help prevent disease. Both diets focus on fresh meat and seafood, vegetables (including roots and tubers), fruit and healthy fats. Both diets avoid grains, sugar, legumes and dairy, plus industrially processed vegetable oils like soybean and canola. The Whole30 is intended to be a 30-day nutrition challenge that is based on the Paleo template, but further excludes honey, maple, and “Paleo treats.” The Whole30 is designed to reset your metabolism and taste buds, break your sugar addiction, and get folks back in the kitchen cooking real food instead of relying on convenient but unhealthy processed foods. The Paleo Diet is more of a template for an overall lifestyle that usually means a 30-day “squeaky-clean” intro (similar to the Whole30), then an 80/20 long term maintenance phase, meaning 80% Paleo and 20% healthy modern foods (some rice, cheese, yogurt, and the occasional treat) if tolerated. The Whole30 is not the Whole365. 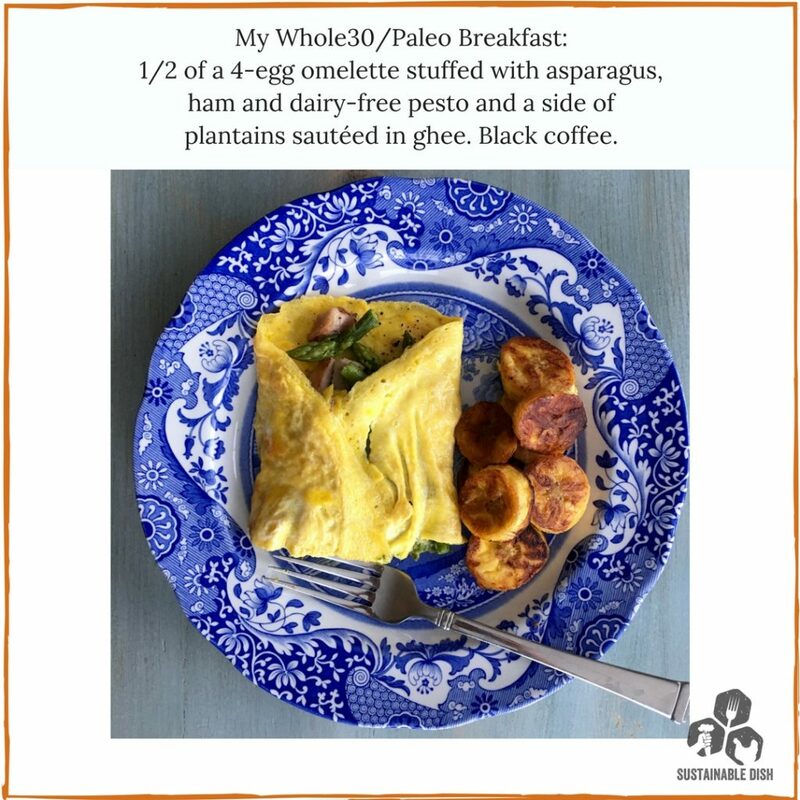 Most people who do a Whole30 end up also following a Paleo template of 80/20 after their 30-days. Let’s do a quick rundown and rebuttal of the assumptions that USNWR and many other popular press critics have about paleo-style diets. Nobody is literally saying that domesticated cows were around during hunter gatherer times. Instead, these diet are simply looking back at what humans evolved to eat and focus on those foods as a template to for a more modern version of that diet. Yes, there is some evidence of a little grain consumption several tens of thousands of years ago, but generally humans evolved eating meat, roots and tubers and seasonal fruits, and that diet seems to work great for those who have tried it. Paleo is simply a template for eating a diet mimicking the hunter-gatherer way of eating. I showed my cookbooks to my nutrition professor while completing my RD, and her exact words were, “Wow, you need to change the name of your book because this isn’t paleo, this is really healthy!” She admitted she had a bias against the word paleo, but once she understood that I was intelligent, very healthy, understood nutrient metabolism and also advocated for sustainability, her guard came down, and she was able to look at “Paleo” without cringing. Although she is a vegetarian for personal reasons, she said, “If I ate meat, this is exactly how I would eat.” So let’s please remove our stereotypes and keep an open mind, as real scientists do. Assumption: We need to be eating grains to be healthy. Sweet potatoes also have only 90mg of omega-6 per cup compared to the same amount of wheat cereal delivering 452mg. Grains are a big source of omega-6s, the kind of inflammatory fats that should be consumed less, not more. The foods with the highest omega 6’s are vegetable oils (margarine, commercial salad dressings) and another huge sources is grains, yes, even whole grains. Type 2 diabetes is a disease of carbohydrate intolerance. Sugar is addictive. You would never tell an alcoholic to just self moderate and hope for the best, so why would you tell someone with metabolic disorder from overconsumption of carbohydrates to moderate? They need to give up the sugar. Instead, we’re telling them to eat less meat and more grains and legumes, and skim milk (more than 1/2 the calories from skim milk come from sugar.) In fact, the American Dietetics Association lists beans as the ideal source of protein. The RDA for carbohydrate is only set at the arbitrary value of 130g/day in order to avoid ketosis, however they also say ketosis is not a danger (and this paper also backs that up). Ketosis is not ketoacidosis. Now, the Paleo and Whole30 plans aren’t void of carbs, but people will naturally eat much less in the form of carbs if they’re not consuming breakfast cereals, bagels, breads, pasta, and cake. And it turns out, when you eliminate these foods from your plate, you end up replacing them with nutrient dense foods that are difficult to over consume because they’re not hyper-palatable. Nobody is going off the rails for sautéed spinach, roasted salmon and water, but they DO line up never-ending bowls of pasta, bread sticks and wine. Let’s get rid of our bias of low-carb diets and instead, take an honest look at the research proving that a lower-carb diet can actually prevent or reverse type 2 diabetes. The carbohydrate choices for Paleo and Whole30 are completely reasonable, nutrient-dense, and delicious without overstimulating our appetites causing us to over consume. This is why most people with blood sugar disregulation do very well on Paleo and Whole30. I challenge this on several levels. First of all, we need to be eating more protein and better protein. There’s an assumption that all we need to eat is 0.8g/kg per day. This is the absolute minimum to avoid disease, not the amount for optimal health. Also, this often gets translated to a baseline recommendation of 56 grams a day for men and 46 grams per day for women, numbers based on a “reference” man of 70kg (154lbs) and a “reference” woman at 57kg (125lbs). The average weights for Americans are much higher. The Acceptable Macronutrient Distribution Range (AMDR) for protein is 10% – 35% of calories from protein. On a 2,000 calorie diet, this means 20% of calories from protein is actually 100g/day. That’s double the RDA. According to the Dietary Reference Intakes by the Institute of Medicine, “the current state of the literature does not permit any recommendation of the upper level for protein to be made on the basis of chronic disease risk.” This means there is no worry for people to consume more than the upper limit, though it would be pretty difficult to consume 35% of your calories from protein (the upper end of the AMDR.) That would be 175g of protein on a 2,000 diet. Protein is the most satiating macronutrient. The more protein you consume, the more full you feel. Now, if you are trying to get more protein, here are the most efficient sources. Let’s look at calories next. If we’re trying to eat more protein but fewer calories, which sources of protein are the best choices? Let’s look at how many calories you need to consume of these foods to get 30g of protein in a meal. These two charts illustrate that animal protein is both the most efficient forms in terms of calories and grams of protein per serving. It should also be noted that plant-based proteins are not as easily digested and do not contain the full amino acid profile. Plus, beyond protein, animal flesh has a lot more vitamins and minerals than plant-based proteins, like heme-iron which is not available in plants. Additionally, relying on food frequency questionnaires can hardly drive policy, because it’s been proven that people lie when trying to recall what they ate. The truth is, when comparing someone on a vegetarian-type diet to a person on a Standard American Diet, you can’t simply call out red meat as the driver of disease. There are many other lifestyle factors that typical vegetarians do differently than a typical American, like generally taking more care of themselves by doing yoga and other movement, not smoking, drinking less, etc. In this study that compared those who shop at health food stores (so, accounting for lifestyle) there was no different in mortality, heart disease or stroke found between meat eaters and vegetarians. Eating lots of fresh vegetables and living a health conscious life are both important, something central to the most vegetarians, Paleo and Whole30 followers. Red meat itself is not the villain, it’s more likely to be the fries, 72oz soda, and deep fried apple pie that was consumed with it. The other reason why people call meat “bad” is the assumption that it’s better environmentally to eat only plants. Many parts of the world (such as much of Africa) are not well suited to cropping of wheat, corn, soy, and water-sucking plants like lettuce. 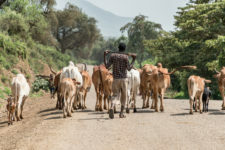 Most of the world’s landmass is not suitable for growing vegetables and grains, and instead is much better used as grazing land for animals. I got into this much deeper in this post, but the summary is that we’re attacking meat as being an environmentally toxic and unhealthy way to get protein this is not necessarily the case. I do agree that we need to be eating fewer animals that eat grains (like CAFO chicken boneless skinless chicken breasts) but if we focus on animals that are converting grass (something we can not eat, on land that does not compete with humans for edible food) to flesh, then it’s pretty clear that eating these animals is quite efficient for human nutrition AND it can improve the soil and the climate, helping to sequester carbon. I feel that most of the anti-meat energy comes from the guilt associated with killing an animal for our nourishment. Factory farming is not good for animal welfare or the environment, but to rule out all meat because of factory farming is like saying I’m not going to eat vegetables because I don’t believe in GMOs. Don’t hate the player, hate the game. It’s not that hard to find good meat. You can get grass-fed beef at Walmart now. Dairy is actually not the most efficient way to get calcium or vitamin D. US News actually has a post saying that you don’t need dairy to get calcium highlighting sardines, vegetables, and nuts and seeds, all foods approved for Paleo and Whole30. Cod liver oil and salmon are fantastic sources of vitamin D, foods that are not allowed on plant-based diets. Plus, milk is fortified with vitamin D, so it’s really no different from taking it in supplement form along with some calcium. So why attack the Whole30 as being deficient in these nutrients? Also, I’d like to point out that on the sample day breakdown of nutrients, USNWR scored the Whole30 diet as containing nearly 3 times the recommended intake of Vitamin D. I find it funny that there was no Vitamin D for the Paleo diet, considering that the two diets are nearly identical, yet the Vegan diet had B12 above the RDA listed in the USNWR. Was this in the form of a supplement? Without listing what foods were used to calculate the findings, it’s not very transparent and leaves a questioner like me puzzled. Also, I found it interesting to read this comment, “Avoid diets that require a supplement … as this indicates the meal plan is lacking in nutritional value and the object of the diet creators is to use the diet for their own profit, one expert advised.” This is completely made up information. On the health and nutrition page of the USNWR, it was acknowledged that “A supplement isn’t required, but the Whole30 founders write in their book that they ‘believe many people would benefit’ from high-quality fish oil, vitamin D3, magnesium and ‘maybe some digestive help, like enzymes or probiotics.” This recommendation is completely reasonable, yet not a requirement of the diet. Vegans on the other hand absolutely require the supplementation of B12 to avoid serious neurological damage. Vegans also need to supplement with DHA. And, isn’t SlimFast based on supplements? Here are a few more nutrition criticisms from USNWR, “While its focus on veggies and lean meat is admirable, experts couldn’t get past the fact that entire food groups, like dairy and grains, are excluded on the Paleo diet. “The risk of nutrient deficiency is real, unless the person takes a multivitamin,” one panelist commented. Here, its rating lagged behind most other diets.” And another, “Experts worried about dieters missing out on key nutrients on the Paleo diet, given that it shirks entire food groups. Its rating classifies it as “somewhat unsafe.” It was among the poorest performers in this category.” Again, what nutrients exactly can’t we get from meat, seafood, vegetables, fruit and nuts? I’m completely perplexed by this one. In breakdown of nutrients on a Whole30 diet, the sodium was listed as 4,758 mg. Interestingly, the Paleo Diet came up as only having 726mcg. There was no place that I could find exactly which foods were used to compute the nutrition scores – a major flaw because there is no way I can verify the data. On a diet with no processed foods, how is it possible for someone who is basically cooking all their meals to have a sodium content of over TWO TEASPOONS of salt a day? Nobody adds this much salt to their roasted chicken and sautéed kale. On the “recipes” tab of the USNWR review, there’s a sample day listed and there is NO ADDED SALT at all. Now, humans need salt, and we all know that eating processed foods is where the majority of our sodium intake comes from, so on a diet void of processed food, the Whole30 and Paleo actually looks a whole lot like a “low sodium” diet to me – in fact the nutritional breakdown for Paleo shows it as having 1/2 the sodium (only 726mg) of the halo’d DASH diet (at 1507mg and 2101mg), one that allows margarine, fruit juices, white pasta, and includes (gasp) RED MEAT. High Saturated Fat Leads to Insulin Resistance? I took a look at the Atkins reviews as well. I don’t know how Atkins scored better than Paleo and Whole30, when they eliminate many more foods and include processed bars as part of the plan. I do appreciate the low-carb approach though, and I’ve seen many people do well on Atkins. Here’s a quote: “One panelist observed that the high level of saturated fat intake on the diet can hike the risk of insulin resistance, a hallmark of Type 2 diabetes.” How is this possible when going low-carb is fantastic at reducing insulin resistance, and has been shown to reduce glucose, insulin, triglyceride, ApoB and saturated fat (especially palmitoleic acid) concentrations, reducing small dense LDL particle numbers, glycated haemoglobin (HbA1c) levels, blood pressure and body weight while increasing low HDL-cholesterol concentrations and reversing non-alcoholic fatty liver disease (NAFLD)? Diets that contain whole grains, low-fat dairy, legumes and sugar are healthier. I took a look at the breakfasts listed for the various diets. The breakfast listed for the Paleo Diet is not really what paleo folks eat. This was taken from Loren Cordain’s book, who doesn’t “own” Paleo. Nobody owns Paleo. That’s the problem with people citing only his book as “THE” paleo book. His just happened to be the first book with that title. Most people on the Paleo Diet and Whole30 eat about 4-6oz protein per meal. So, I called the breakfast Whole30/Paleo, since the example for a Paleo breakfast in USNWR is unrealistic. The breakfast shown is quite similar to what I would eat for breakfast. I should note that prior to adopting a low carb/higher protein and fat diet, I ate very similar to DASH and was in metabolic syndrome but I was not overweight. I was a blood sugar mess though, and any of the other breakfasts listed here would certainly leave me starving by 9:30 and hypoglycemic. Compared to the Whole30/Paleo breakfast, these other examples are low in fat, low in protein, and high in carbs. Eating this way in a fasting state (first thing in the morning) can set a person up for a blood sugar roller coaster. I was particularly unimpressed with the DASH diet (the #1 ranked diet.) Cereal, toast with margarine and orange juice? Who eats margarine still? I thought that left with the 1980’s. And we all know orange juice is just sugar. There are way better sources of vitamin C than orange juice. Did you see the Macrobiotic diet? It starts the day with NO FAT at all (and most of these other diets are pretty low fat in my opinion.) The oatmeal has 12g of protein but at 64g carbs plus 2 slices of whole wheat bread adding another 8g of protein plus 26g carbs, and apple butter adding another 14g carbs, (and nothing else as far as vitamins or minerals,) that’s a total of 104g carbs (more than I eat in a whole day) with 20g of incomplete protein and no fat to slow the digestion down. I don’t understand how you’re supposed to make it to lunch without passing out. 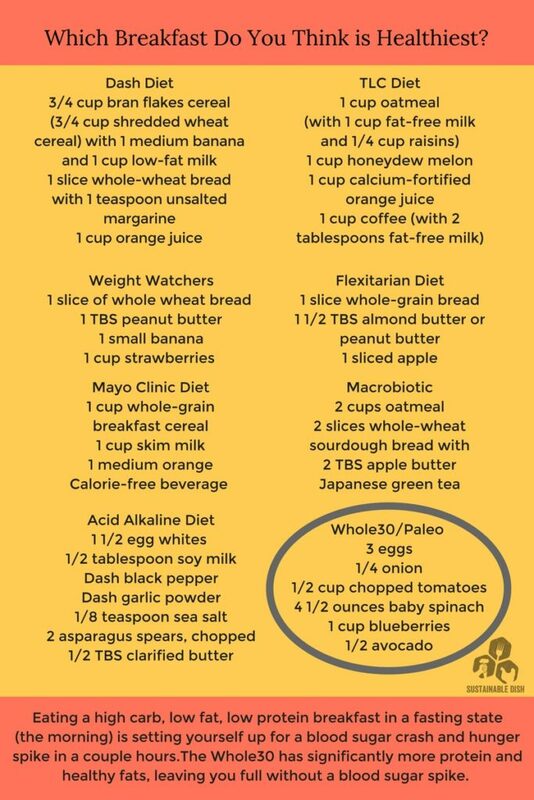 I also really don’t understand how all of this skim milk and toast (with margarine) is more nutrient-dense than the real food breakfast shown for Whole30/Paleo. People like to criticize both the Paleo and Whole30 plans as being expensive because “all that meat and produce can add up.” Yet, when you actually compare healthy food to processed foods, real food is cheaper. Let’s look at candy bars, which I don’t think anyone is complaining are so expensive. The average price I found in the US is $1.24 for a standard Snickers bar. That’s $0.66 per ounce. Consumer Reports purchased 300 packages of ground beef in 103 stores in 26 cities across the United States in 2015. 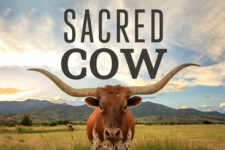 They paid an average of $4.95 per pound for conventional beef (which, I would argue is better than a snickers bar) and an average $7.83 per pound for grass-fed organic beef. That’s $0.39 and $0.49 per ounce, respectively. 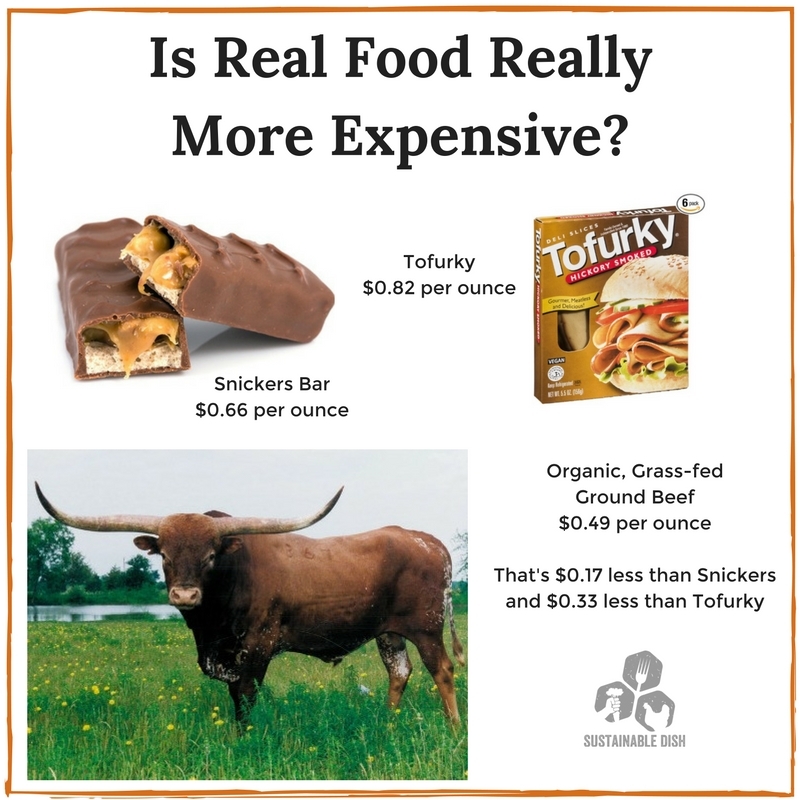 So, even grass-fed organic beef is $0.17 cheaper by weight than a snickers bar. Amazon sells a 6-pack of 5.5 ounce sliced Tofurky for $27.05, which equals a little over $13.00 per pound or $0.82 per ounce. Organic, grass-fed beef is $0.33 less per ounce than Tofurky. Organic vegetables like carrots, potatoes, and zucchini area all cheaper than candy bars and processed fake meat products. Additionally, comparing the nutrition in fresh fruits, vegetables and nutrient-dense meat to processed food and meat-like products is definately not apples to apples. And the sustainability factor of these highly processed foods needs to be considered. If someone did a full life cycle assessment on Tofurky, looking at all of the inputs (water, fossil fuels, etc.) to make one floppy little piece of this fake meat, there’s no way that it’s more environmentally friendly than a cow that ate grass in a field. 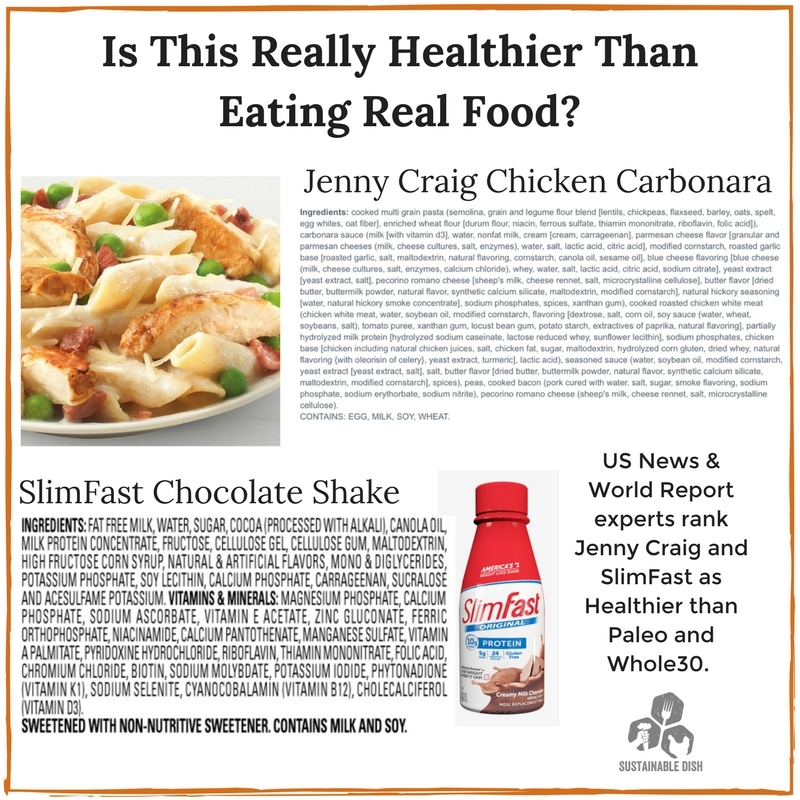 Jenny Craig ranked #10 and SlimFast is #20, way above Paleo and Whole30. On SlimFast, you drink 2 of these shakes a day, plus eat 2 bars with equally disturbing ingredients. The snacks listed are a banana and apple (on an empty stomach, hello sugar rush!) and then one “real” meal. And this is healthier than eating real food? The goal of the Paleo diet and the Whole30 are to help people eat food that is closer to its real form, to reset tastebuds and to stop eating junk food. It’s not necessary to spend hours and hours in the kitchen either. A quick Paleo or Whole30 approved meal can be made by picking up a plain roasted chicken, grabbing a few carrots and hitting the salad bar. That’s pretty easy. Also, there is no weighing and measuring your food, because the idea is that if you eat real food, your body will self-regulate. Shouldn’t that be the goal of any weight loss program? Do we really want people reliant on bars and shakes as a long-term diet strategy? Also, its super snarky to say that you can’t eat out unless you “eat in your neighbor’s cave“. Lots of restaurants offer a piece of salmon over a green salad, sautéed shrimp and vegetables, or a burger with no bun, baked potato and a side of fresh veggies. The reviewers really found that it’s more difficult to eat Whole30 and Paleo at a restaurant than it is to order a vegan dish? How easy is it to order a Slimfast shake at a diner? The attitude given to Paleo and Whole30 by the US News team has palpable bias. Here’s a quote from the Paleo review, “This diet should go back where it came from.” Nice one. Human evolution has taught us a thing or two about which foods we can thrive on. Before the agricultural revolution, humans who didn’t die from childbirth or accidents had remarkably good health. They didn’t need to measure and weigh their food. They didn’t need to drink two shakes and have two junky bars a day. They didn’t eliminate meat. They didn’t die of type 2 diabetes. They ate food closest to its natural form. Paleolithic nutrition improves plasma lipid concentrations of hypercholesterolemic adults to a greater extent than traditional heart-healthy dietary recommendations. Benefits of a Paleolithic diet with and without supervised exercise on fat mass, insulin sensitivity, and glycemic control: a randomized controlled trial in individuals with type 2 diabetes. Cardiovascular, Metabolic Effects and Dietary Composition of Ad-Libitum Paleolithic vs. Australian Guide to Healthy Eating Diets: A 4-Week Randomised Trial. Strong and persistent effect on liver fat with a Paleolithic diet during a two-year intervention. Paleolithic nutrition for metabolic syndrome: systematic review and meta-analysis. A Palaeolithic diet improves glucose tolerance more than a Mediterranean-like diet in individuals with ischaemic heart disease. Palaeolithic diet decreases fasting plasma leptin concentrations more than a diabetes diet in patients with type 2 diabetes: a randomised cross-over trial. “Even short-term consumption of a Paleolithic-type diet improved glucose control and lipid profiles in people with type 2 diabetes compared with a conventional diet containing moderate salt intake, low-fat dairy, whole grains and legumes.” – Metabolic and physiologic effects from consuming a hunter-gatherer (Paleolithic)-type diet in type 2 diabetes. Consumers are getting smart. They no longer trust nutrition advice, because what they’re being told doesn’t work. Cholesterol and saturated fat are no longer supposed to be “nutrients of concern,” so why the continued recommendations of low-fat milk? 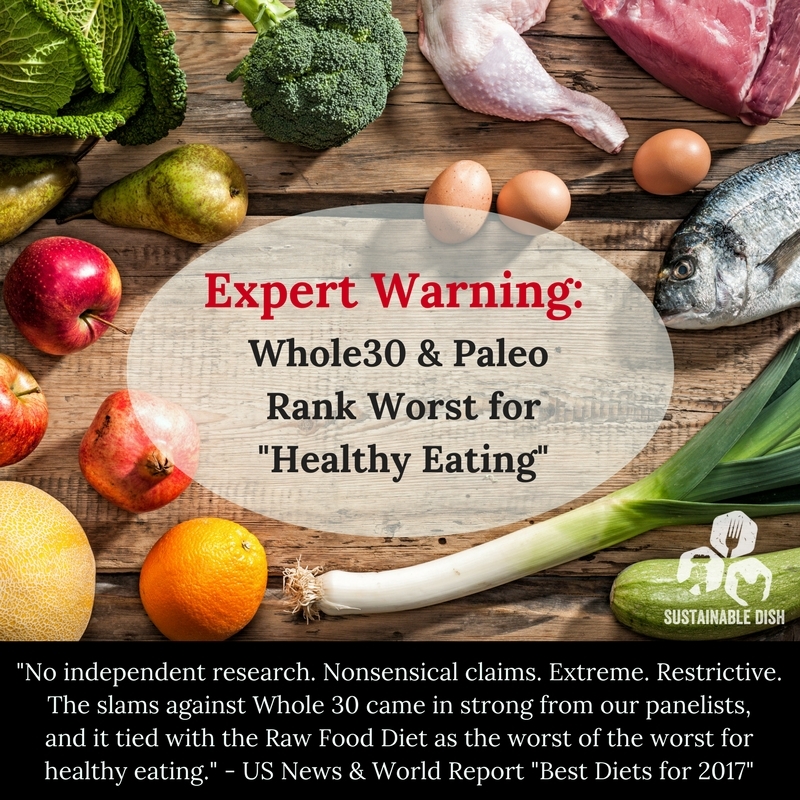 Why the fear of Paleo and Whole30? Why the cynical comments? People want results. They want to eat real food. They want to feel full and feel good, and say goodbye to their sugar tooth, expanding waistband, and exhaustion. Why not admit that grains and legumes don’t need to be part of a healthy diet? When 75% of the world’s population is lactose intolerant, maybe it’s time to stop recommending so much milk, which isn’t even the best source of calcium to begin with. Maybe people need to completely eliminate processed food for a period instead of drinking shakes and eating bars. Countless people have found that when they eliminate grains, legumes, sugar and dairy for 30-days, it’s the beginning to a whole new way of relating to food. After their 30-day intro, they’re usually able to reincorporate a small amount of “modern” foods in moderation (like rice or full fat, plain yogurt, or the occasional treat or glass of wine) with no problem, while sticking to a general real food template as their base. Many people report that their blood sugar issues go away, food cravings disappear, acne improves, they sleep better, lose weight, perform better in the gym, and they just feel fantastic. If we really knew so much about the right diets for everyone and how to get folks to stick to them, would we still have such a growing epidemic of diabetes and obesity today? Maybe it’s possible that we are still just learning. Nutrition is a new and evolving science, and it’s time to admit we’ve been wrong about things. Maybe it’s time to open our minds a bit to new ways of thinking and be a bit more humble about our “expertness”. 20 Ways EAT Lancet’s Global Diet is Wrongfully Vilifying Meat Film Update! Is a Meat Tax a Good Idea? If I wasn’t at work I would yell loudly and clap for a very long time. The Whole 30 and the Paleo diet have literally saved my life. I am still overweight now, but the weight is coming off in a healthy way that will last for the long term. So, it is a journey and will take quite some time for me because it was seriously bad before, but it won’t be a yo-yo diet and this life is sustainable. I still made gf Christmas cookies and had my fair share, but that isn’t every week. I do not get the argument that these diets are bad…how can eating whole foods be bad? I don’t get it. Thanks for standing up for the truth. Amazing post! Such a great explanation of what I’ve been trying to share with people. Thank you!! I am a registered dietitian and certified diabetes educator who has experienced firsthand the power of a whole foods diet changing my life and health. I 100% agree with the author and wish that the rest of the rest of the mainstream medical community would catch up already and realize the power of nutrition. Thank you for sharing this article. Great article! You hit a home run with your thoughtful and well researched rebuttal of the USNWR article. “Consumers are getting smart.” Absolutely! Let’s hope that more and more consumers vote for a whole and healthier way of eating with their purses. Wow, at last we have a thorough, no-nonsense and comprehensive rebuttal to this debate that has been going on every year since the increase in popularity of ancestral diets like Paleo and Whole30. I’m so grateful for my colleague Diana Rodgers’ hard work in putting this great article together so I have something credible to share with my clients (I’m a registered dietitian too!). And this is why the populations in the west are screwed! I’m in the UK and they still serve out-dated nutritional advice here to diabetics also. The ingredient lists you shared for popular “diet” foods say it all. Those are not healthy, sustainable, or nourishing foods. Following a whole food diet is sometimes hard, but that doesn’t mean it shouldn’t be done. There is plenty of room for customization in these diet approaches- they are not one size fits all. Even the Washington Post included Whole30 in its dietitian-approved WaPo Food’s 5 Diets project. Contributor and Registered Dietitian Ellie Krieger stated in an article that Whole30 could help people add “structure and strategy” to their day to day eating in hopes that participants can learn to transcend the diet mentality and land on a sustainable and satisfying way of eating. Thank you for your hard work and great information, Diana. I am also a registered dietitian, and I approve of Diana’s message! I’m a registered dietitian and certified diabetes educator, and I couldn’t agree more with this entire post. I regularly work with patients that have been failed by one of more of the high-scoring diets on the USNWR list. Thank you so much for this clear and concise rebuttal! So well put and backed by credible and thorough. I am a RD and could not agree more with this whole post! I’ve often felt that steering people towards whole foods has been an uphill battle, as the amount of misinformation that must be addressed and countered is overwhelming. This article is one of the most logical, comprehensive, objective, evidence-based pieces that I’ve read in a very long time (if not ever) regarding the power that eating real, minimally-processed food can have on our health. You’ve done us a great service, Diana!. What an excellent article! I think consumers are getting the message, and the industry-backed diets are scrambling. A whole-foods diet is such a powerful way to regain health. I hope it’s just a matter of time before the rest of the health-care field catches on. From one Registered Dietitian to another… Thank you for your time and energy in putting this rebuttal together! I’m an RD and I LOVE this. Thank you for writing such a thoughtful, well-researched, and oh yeh, TRUE response to the disaster of diet-rankings that was just put out. I’m a real food RD and couldn’t agree with this article more! There’s no wonder why there is so much confusion in the nutrition industry. The food industry is doing everything it can to make a buck, despite the health of our country. Such a great post! I am a first year school nurse and from day one have been feeling like ripping my hair out seeing what they are feeding our kids. Especially for breakfast!! It just makes me so angry and I feel as though there is nothing I can do. After all, I am only the school nurse, not the district’s registered dietitian *insert eye roll*. One of the major contributors to our regional conference was a milk lobbyist and several RD’s spouting a bunch of nutritional non-sense. I can only hope I’ll be here long enough to maybe one day see a change in our school cafeterias. It’s tough to sway opinion when you’ve only been taught one way your entire life. Hi Brittany! First, I agree whole-heartedly with this article. Second, please try to find some compassion for your food services dietitian. Schools are required to follow federal guidelines in terms of what they serve. They don’t have an option on much of it and generally do the best they can. The federal guidelines require milk, grains, and fruits for all breakfasts. Protein can be served but it is optional and not emphasized in the rules. That just shows you what we are up against (yes, I’m one of those school nutrition ogres too). We need to change the federal guidelines in order to change how school meals are served. It’s a tall order and one your dietitian can’t do on her own. Please give her some slack and a kind word next time you see her; we get beat up a lot for stuff we can’t control. I am also a Registered Dietitian and Certified Diabetes Educator and am so grateful to Dianna for this well researched and comprehensive article!! It boggles my mind that a whole foods eating plan can be ranked less healthy than plans based on processed foods which contain a plethora of artificial ingredients including artificial sweeteners and high fructose corn syrup. We need to help people see past all of the marketing hype surrounding processed food products and appreciate the health benefits of a whole foods diet. JERF…Just Eat Real Food!! One of the most important steps you can take towards better health! Thanks so much Dianna for helping to get the word out! As an RD myself I could not agree more and I have seen first hand the difference eating real food makes. Absolutely! I’m also a dietitian and agree wholeheartedly! Thanks for writing such a solid response! Mic Drop! That is amazing!! Bravo! Thank you – will share with all my clients. I am a dietetic intern and couldn’t agree more. It frustrates me that even the curriculum we are taught includes this information. Thank you for writing this thorough excellent article! Cannot wait to also, be a real food RD. Thanks so much for spreading the real food message. Keep up the good fight! As a fellow RD, I completely agree with your points here. I love this article and I love the number of dietitians showing their support. We have so much work to do and when we put it in basic common sense terms our patients and clients seem to understand how/why paleo-ish is a good choice (usually better than other RDs and healthcare professionals). Keep up the good work. Those other “Diets” advertise in those magazines. No kidding they are ahead of Whole30 and Paleo. I don’t think there is a marketing campaign for the DASH diet or Raw or Vegan. I think there’s just a lot of assumptions and bias against meat and for grains. No, but slim fast and atkins probably do. And if your health advice goes against what your ads preach, then you risk offending them and losing money. I have a question about the environmental impact of meat. I’m a farmer, growing primarily vegetables, and in a sense, I eat in a Paleo fashion, but with less meat. I typically try and eat meat every other day, and I prioritize locally sourced meat from here in New Mexico. I understand that oftentimes animals can use land we can’t farm, but I’ve also heard that a lot of deforestation is caused by the beef industry, namely in South America. While the Walmart beef may be grassfed, I doubt those cows have been raised sustainably on appropriate land. Might they have been grain finished as well? I feel that, unless you really know the circumstances for your meat, you can’t be confident that your environmental concerns are spoken for in buying it. What do you think? And I have a question I’ve never really answered for myself. I’ve always felt that Americans are overly fixated on meat, in part because we can get it so easily. But, back in the day, meat used to be difficult to attain, and without refrigeration, difficult to keep around. What do we know about how we used to consume meat in Paleolithic times? In my imagination, we ate good meat, but less of it because it was difficult to hunt. We did not eat less meat as hunter gatherers than we do today from the evidence I’ve found. I reference some of these studies in my posts. My husband and I did our first Whole 30 round in February of 2016. He had been diagnosed with Diabetes and told he would have to take medication which he refused. I have many health issues related to inflammation that have kept me from sustainable exercise programs and fitness activities. I was continuously gaining weight as was my husband. We were caught up in the convenience of processed foods. I worked with a nutritionist and the balanced plate method for food intake which per standards had me eating healthier, but weight loss was not happening. After 30 days of Whole 30, I had lost 24 lbs and felt better than I had felt in 20 years. My husband’s bloodwork numbers were so good that the Dr. told him not only do you not need medication to control diabetes, but we will be taking you off blood pressure meds. He had lost 20 lbs. We continued with the introduction of some of the foods restricted with Whole 30 and I was surprised to find that dairy and wheat were primary causes of inflammation issues. We continued with Whole 30 and paleo recipes following our initial Whole 30 round and I have lost 67 lbs and he has lost 45. To start of the new year we are doing another Whole 30 round. We see this as a lifestyle change not a diet. Our doctors are very happy with the results and have vowed to learn more about Whole 30. Thank you for your article. I don’t have any nutrition-related accolades, but I do have my experience. Not only has the ancestral lifestyle vastly improved my lipid and blood sugar profiles, it essentially cured the spirit-draining fibromyalgia I was plagued with for so many years. No more tender points, no more joint pain, no more cognitive fog or constant fatigue. I also have friends who have improved their autoimmune conditions with low carb Paleo. I fully believe that this diet, with its focus on nutrient-dense and efficient foods, will fit, at a minimum, everyone with an inflammatory condition, if not most everyone else. I made the switch a year ago to Paleo after 15+ years of severe digestive problems been diagosed with IBSD, Ulcerative Colitis, Stomach Ulcers, hiatal herna…… I was on a roller coaster of medication (max’d out on 3 different ones daily, so I could eat and because I ate) and nothing and I mean nothing helped longer than 10 days. I grew up to believe eating everything unless you have an allergy was the best way to eat. I went to the dr’s to get a refill and he had a fill in – wen went over my file why I was taking the meds etc he suggested Paleo….Now believe me I was on the fence I thought it was a fad diet and that wasn’t my issue I just wanted to enjoy food again. Needless to say after looking into for a month really digging in and finding out what made this different I figured I had nothing to lose I’ve tried everything else. Fabulous article! I’ve tried so many diets and different ways of eating over the years, and Paleo/Whole30 have been the only ones to truly make a difference in how I feel. I’m on my third Whole30 and convinced my 18-year-old son to do it with me. For years he’s been having terrible sleep issues, digestive problems and overall just didn’t feel well. I told him it would change his life. He started out VERY skeptical, but now just a little over a week into Whole30, he said he can’t believe how good he feels, how much more energy he has, and how well he’s been sleeping. It’s amazing how your body resets when you eat REAL food! I agree with your facts and comments about the article! My boyfriend and I are hitting the No Sugar, clean, healthy 28-day challenge through his Crossfit gym. No I don’t do Crossfit but walk and hit the gym twice a week. Since being with him, we’ve hit the Paleo diet hard and then fell off. This past Christmas we indulged (as I think almost everyone did!) and as soon as the challenge started our minds switched. I will say that not having sugar or alcohol has put a whole new spin on things. We love our craft beer and enjoy it immensely but taking it out and made us feel so much better! Granted we’re still going through our detox period but I can’t wait to see how we feel after 28 days! Thanks for focusing on the importance of eating naturally and staying strong. I have heart disease on both sides of the family, so for me it’s utterly important to watch my cholesterol and Vit D levels! Thanks again! Excellent!!! I rarely comment on blog posts but this one deserved a shout out! I’m an RD and believe in real food/Paleo/Whole30 wholeheartededly. After being diagnosed with autoimmune disease, a Paleo diet has helped my body to heal and brought to light so many issues that I was having that I had no idea were related to the crap I was feeding my body. I feel healthier and stronger than ever. I’ll definitely be sharing this over and over again!!! Whooping and hollering for JOY!!! This is the BEST article I have read about food and diet and filled with REAL EVIDENCE! I have been on a healing journey for nearly 20 years now and finally discovered I have an autoimmune disease and we began a healing autoimmune paleo diet lifestyle January 1st. My husband and I are both feeling healthier with each day! Thank you! Thank you! Thank you! Diana, very well written! Thank you for taking the time to write this post and for representing Real Food RD’s in the best way! YES!!! A very well written, thorough and thoughtful post. I’m an Australian dietitian and whole-heartedly agree with everything written in this article. Thanks Diana. Absolutely agree with eating clean and avoiding processed food, however, I think the promotion of meat and animal products especially bovine is what is harming our planet. More and more evidence showing how cattle and dairy production is causing catastrophic harm. It is good and well to promote self-care, but I think any sustainable message about food and food production should also involve consideration of whether that food production can be sustainable. If you must have cheese and yoghurts, avoid cows milk. Shop for goats and sheep milk cheeses! Rhoni I will agree with your comment if you are referring to the current methods of factory farming meat and dairy, where animals are penned and large amounts of fossil fuels are used to grow grains, ship it to the animals and haul their waste away. That has to stop. However, pasture raised beef and dairy, using Allan Savory methods actually build soils, sequester carbon and reverse the damage done by factory farming and mono culture big ag. Those rich deep soils we used to have in the bread basket of America were formed by 60,000,000 bison and a multitude of other large grass eaters constantly being moved by predators. The grass lands and the grazing animals evolved together, building incredibly deep soils. We can duplicate this soil building system with portable fencing, good grass/animal management and very minimal fossil fuel inputs. Plus the animals are a whole lot happier and healthier. As a real food RD, I much appreciate Diana’s work and agree 100%. Keep up the good work! As a Registered Dietitian who helps people implement a paleo diet, I could not agree more strongly with this article. I’ve personally witnessed the incredible health benefits that it offers in hundreds of my clients. It’s unfortunate that ill-informed articles like this still appear, but that should only encourage us to continue getting the word out. Lives are at stake. I applaud this excellent response, Diana! I am a registered dietitian and I feel that the Whole 30 shouldn’t even be included in this list of “best diets” because it isn’t a diet that is meant to be sustained year in and year out like the DASH diet. Sure, it is restrictive, but it is an elimination diet designed to last for only 30 days. Then the person should start adding back foods in a sequential manner to determine if they have any food sensitivities. I am finding that a lot of people have problems with gluten, dairy, sugar and certain grains-and the whole 30 is a great way for them to identify these issues, while also learning how to prepare whole foods. The Whole 30 is something that dietitians should have in their toolbox as another resource in helping reduce chronic disease and to support overall health. 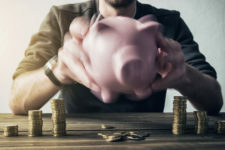 Thank you for posting such a great article! You are an eloquent writer and a patient scholar: I admire your willingness to take on this idiocy and tear it apart word for word. Kind of the way we should be tearing apart our food, meaty morsel by meaty morsel. One point I would clarify or add would be about vitamin A… as you know, sweet potatoes actually have beta-carotene and a fair number of us cannot convert that well, or at all, into vitamin A. Denise Minger wrote a great post about it here https://deniseminger.com/2016/10/20/why-do-some-people-do-well-as-vegans-and-vegetarians-clues-from-the-magical-world-of-genetics/. Since reading her work, I’ve included scanning for vegan-tolerant genetic markers and have found it very interesting: happy vegetarians more often able to do the conversion, intentional meat eaters often unable to do so. I was happy I did the test in a young schizophrenic patient I have who was considering going vegan: strongest “obligate carnivore” genes I’ve seen and for that he was convinced to stay with a Paleo type diet. Thanks for this column which I will share! yes, the nutrient database calls it “vitamin A” so I went with that, but I’m familiar with Denise’s work and think she’s great! This is an excellent article, however, I have one qualm: you state that protein is the most satiating macronutrients and that is false. Fat is the most satiating macronutrients and fat most certainly should not be feared. Thank you so much for addressing this issue. It literally makes me want to cry when I read in the media that processed JUNK is actually better than what nature has provided us. This was a very well written article that has hit on so many points of debate. What are your thoughts on the book, The China Study? I appreciated this article until you said that the risks of a vegan diet outweigh the benefits. As a vegan I can still appreciate the possible health aspects of other kinds of whole foods diets, but you seem to have published this not in defense of a paleo diet, but in offense to a vegan one. That study you cited regarding the risks of a vegan diet said that the conclusion was that a vegan diet was deficient in B12 – but in all other areas was sufficient. Call me daft, but that doesn’t look like a study showing that the risks of a vegan diet outweigh the benefits. It’s disappointing that you show concern for misinformation regarding the paleo diet but propagate the same misinformation about a vegan one. There is nothing wrong with having a bit of B12 fortified food to make up the deficit there, since the rest of the diet is more than sufficient. You said yourself, just above, in response to someone else, that correlation doesn’t equal causation. And yet you do not eat grains based on their correlation with certain maladies of the body. I would like to point out that many people eat grains with enormous health benefits, but diabetics may not see these as they have a specific health condition. There is no single diet that benefits all. We all have different needs for our bodies – and at different life stages – that you cannot make the blanket statement that one diet is better than another. I agree with some of your points on paleo, even though I choose to follow a vegan diet, but it’s disappointing that people keep flogging that old dead horse about the so-called “risks”. I could show you a study citing the dangerously high levels of vitamin A that are prevalent in the diets of many paleo eaters and yet you would defend this based on what you know to be true. The inverse is also true for veganism. Like I said, different bodies, different needs, different tolerances for certain foods. No need to cherry-pick data. I don’t eat grains because I have celiac disease, not because of correlations. Vitamin A is a concern in supplement form, not in real food form for healthy people. I’m working on a book to address your other points (literally, I’m not being sarcastic here – there’s a lot to address about veganism and I’m writing a book on it). I’m also celiac so I totally understand where you’re coming from in respect to a Paleo diet which omits grains, since there would be no risk of exposure when you’re avoiding them altogether. I do avoid the obvious grains but choose to include others such as quinoa and buckwheat in my diet as I believe they are extremely healthful. I would be interested in your further points and will keep an eye out for your book, but having spent countless hours myself researching nutrition, I do feel confident in saying the data supports the healthfulness of a whole-food plant-based diet and it’s role in reversing disease and illness. Of course I don’t know everything, but off the bat I would probably say that data showing the risks or detriments of the diet would be coming from subjects who are not eating appropriately, or whose special/specific requirements may mean that it is not the optimal diet for them. Not unhealthy, just not optimal for some. And then there are those vegans still dying of heart disease because they think if a potato chip doesn’t have animal products it must be okay. Ludicrous, obviously, but you will get these type of people. I think a lot of concerns about the ‘vegan’ diet have come from broadly painting all vegans as following the same diet, and therefore getting mixed data. This is something I have come across before. A processed vegan diet is just as bad as the standard western diet in my opinion. To see the true health benefits you must be eating whole foods. So I suppose at least we agree on that point. Looking forward to your book though. Thanks for taking the time to reply. Humans need nutrients in meat. If you need to supplement a “whole foods” diet with nutrients, this is not a good diet. I realize there’s a difference between eating twinkles and salad, and I do feel one could argue that a well planned vegan diet is better than a crappy version of a Western diet, but vegan is NOT optimal for humans. It’s just not. We have no evidence of this. If you were to take a well planned vegan diet and then add some grass-fed beef, wild salmon, pasture-raised chicken eggs or other good meat, this is optimal. Working on a book about it now. As an experienced Registered Dietitian, I can’t believe any Dietitian would ever call a vegan diet unhealthy. That’s a completely uneducated statement. Vegan’s eat more fruits, vegetables, nuts and other healthy foods than any other diet. The vegans I know avoid fast food, processed foods, and refined sugar. They have lower rates of every chronic disease. It reduces inflammation, cholesterol, cancer risk and diabetes. You don’t have to take a B12 supplement, most nondairy milks are fortified. Many people need B12 supplements for other reasons besides being vegan. Why do you feel so insecure about your diet choices that you feel another diet can’t be healthy? Also you can’t say eating red meat is good for the planet. Where’s your research? It takes thousands of gallons of water for one pound of beef, not to mention the methane gas, runoff in our waters. Humans are omnivores – you were taught this in your RD training. Beef is the best source of iron and B12 – you were also taught this in your RD training. Saturated fat and dietary cholesterol are no longer “nutrients of concern” as per last year’s updated guidelines. This isn’t 1990 anymore. Try growing your own food and see if you can do it without any animal “suffering” because you can’t. Have a great day. I enjoyed reading your site and my own experience contradicts some of what you have said; in particular that saturated fat is no longer a concern. I developed heart disease while following these diets. Yes I lost weight; yes, my blood work revealed improvement. At the same time, I found out, after an MI, that I had plaque build up in my coronary arteries. I did extensive testing, after the fact, of the causes of this problem. After the VAP Cholesterol test, I found high levels of lipoprotein(A). This lipoprotein was the culprit in my plaque buildup and is directly related to saturated, monounsaturated, and polyunsaturated fat consumption in my diet. After switching to a plant-based diet (based on Colin Caldwell’s research), my lipo(A) numbers dropped dramatically. While my story may be unique, I do offer a word of caution to folks and encourage all of us to tread carefully. It’s telling that our pets are now at risk! …there only needs to be the most cursory look at ingredients in our petfood. Diabetes should never happen to our pets, but they are eating what we are feeding them. Advertising for petfood includes hooks that catch our attention, including Pasta, cheese…turkey with cranberry…can you see how ridiculous this is?…and if you can then why is this not ridiculous for us! I’ve read so many of these sites promoting Whole30, Paleo and the like, and followed these diets, in one form or another, for 20 years. 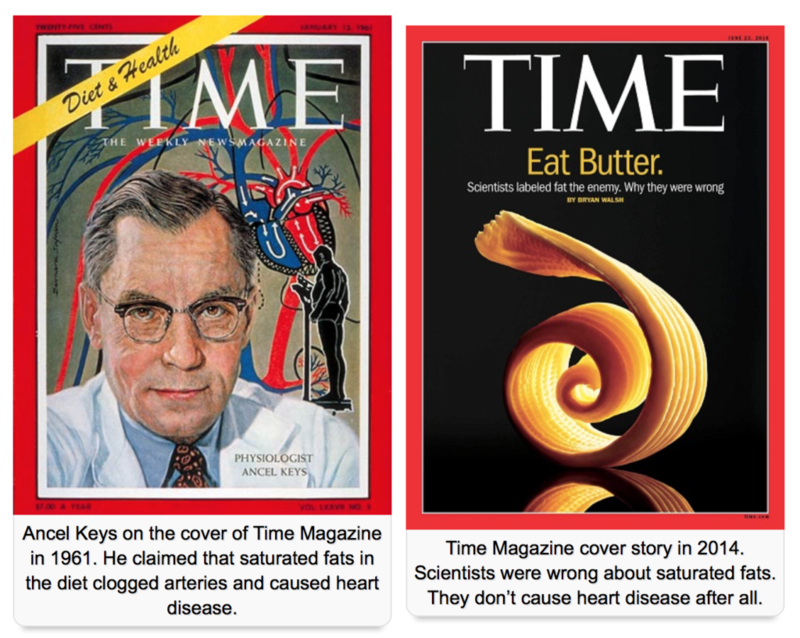 My own story starts with the fact that I embraced these diets and later developed heart disease. I ate exactly what people said to eat: protein, some plant-based foods, and so-called “healthy” fats. My blood work appeared to prove the advocates of Whole30 etc right…everything looked good. In fact, what was happening to my arteries and veins was a buildup of plaque, particularly in my coronary arteries. I had no idea. My blood work told the story that all was fine. The reality was quite different. After an MI, I had a heart cath and the truth was revealed; 90% blockage in one coronary artery. My advice to folks is simply this: while you may, like me, lose weight and “feel great”, be very careful. Ask for more in depth testing as you age. Look more carefully at blood work; have the VAP Cholesterol test that measures the lipoproteins that make up LDL and HDL. Find a doctor that will help you understand the more elaborate details of our body. Finally, consider a plant-based diet based on research by Dr. Colin Caldwell and others. Whole30 has not been around for 20 years, so my question is, how long did you actually follow it? When did you start it? When was your heart attack? It takes a long time to build up to a MI and have 90% blockage. Like, years. Do you honestly think you were totally healthy, then decided to eliminate processed foods and do the Whole30 and THEN you had a heart attack? Sounds highly unlikely to me. Thanks for your reply. Yes, of course, that specific diet plan is very recent; however, the ideas have been around for a long time. Eating low carb, plenty of plant foods, no or limited grains was the mainstay of my eating. I ate lots of lean protein, almost no red meat, lots of plants, and grains were off the menu. I can only say that my experience, while it may be unique, does say something about low-carb diets. The real question is, how healthy was I? You are right, blockages come on over a long period of time. What was I doing wrong? That question has really been in the forefront of my mind since this all happened in November. Two weeks before, I road in a 50 mile bike race. I lead students on backpacking trips, cross country ski trips, and am generally what most would consider a “healthy” adult. I cannot pin it all on diet; what role did genetics play? All I can say is that as I research my own body, I’m trying to understand what happened and why. So you’ve only been vegan since your MI in November? Yes, but not really vegan; I avoid all sugar and oil, white flour, and a few other specific foods. I’d say I eat plant-based, whole foods with no oil, meat, or dairy. So sorry to hear about the plaque build-up! That had to have been quite a shock. I’ve been a long-time advocate for these kinds of Paleo/primal diets, but am not married to any approach and am always looking to shore up any weak spots in my understanding of their implications for our health outcomes. Do you know what was the mechanism behind your eating habits contributing to the blockage? Hope you’re doing well, dude. Yes, I am well! I did a whole series of tests and identified lipoprotein(A) as the culprit. In me, that lipoprotein was very high even though my LDL was actually low (ranged between 70 and 90 over the past 15 years or so). Beginning after the MI in November, I switched to plant based and that lipoprotein declined dramatically….am watching my blood work now and testing every 3 months to see what’s happening. It’s been a real journey. Have you looked into the dietary risk factors for lipoprotein (a)? I’m no cardiologist or lipidologist, but I’m having a tough time connecting it to ways of eating such as you describe. HDL (the “good” cholesterol) is actually raised by saturated fat. Please consider reading some of the work by Nina Teicholz – cholesterol is a symptom, not the “cause” of inflammation. Whole30 did NOT cause your heart attack. Processed foods, sugars, drinking, stress, lack of movement, poor sleep are all factors that contribute to poor health, not meat. Humans have been eating meat for a long time – heart disease is a relatively new thing. Best of luck. I’ll second the Teicholz suggestion, and add Dr. Peter Attia and Ivor Cummins. Ivor especially goes into detail about lipoproteins in his presentations. Regardless, keep an eye on that blood work, dude, and hang in there. Definitely looking into it. That’s why I’m researching all of this information…..as you know, information out in the world often is contradictory. I’m relying on scientific evidence and research. Even then it gets challenging. Regardless, I’m glad you seem to improving, and thank you for sharing this perspective! Looking forward to digging into this a bit more. I have lost 65lbs in 2 years on paleo. I am not a dietitian or doctor like lots of other commenters. I enjoy my vegetables, fruits, and meats and take walks and do some running. Blood pressure is normal now, cholesterol perfect, triglycerides perfect. When I stopped dairy my inflammation went away. Not just a coincidence. Say what you will, this works and I am never hungry.